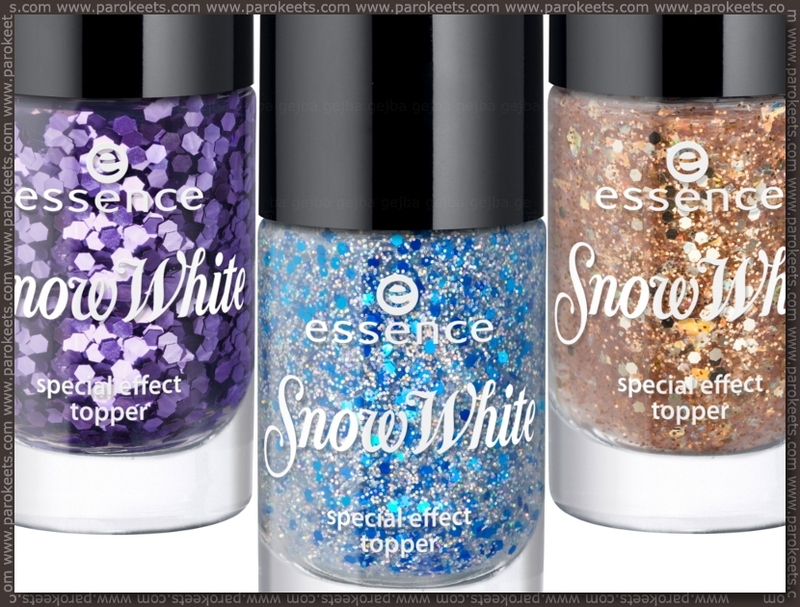 Today I have tow previews to show you, and they're both from Essence. 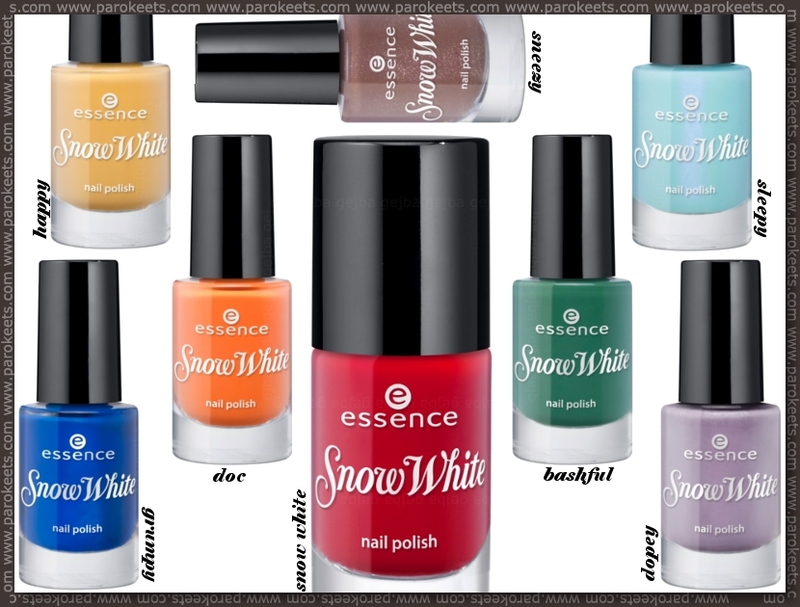 First of all, Essence will launch a new line of perfumes in June, and all 6 scents will be permanent. I found this very informative post about it *click*, unfortunately it's only in German but you can look at the pictures nonetheless ;) I really think that these perfumes sound interesting! When I first heard it, the thought of cheap perfumes for teenagers popped into my head, but they look a lot better than I expected! I'll be smelling them at the store for sure, I can't wait! 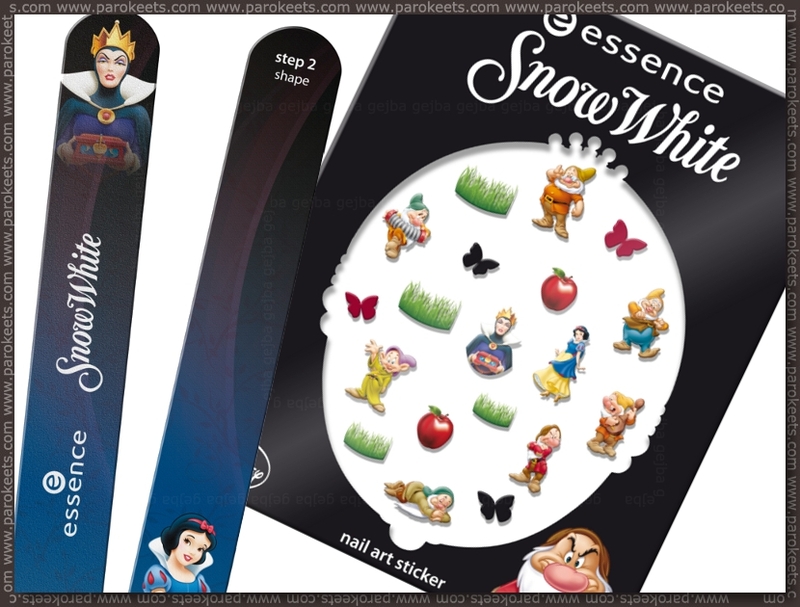 I find Snow white collection really attractive, especially cuz' of the disney characters :) Hope they'll do more disney themed collections!